GIB committed £668 million to 18 new green projects in 2013-14, taking its total capital commitments to £1.3bn of profitable investments. GIB intends to raise a £1 billion fund to encourage new private investors to invest in offshore wind farms in the UK. GIB committed £668m to 18 green energy projects, more than doubling the number of green projects it backed in its first year. GIB is now the most active investor in the UK’s green economy. An additional £1.9 billion of private money has been committed to these projects alongside GIB’s own investment, taking the total to £2.5bn of new investment in the UK’s green economy in 2013/14. GIB’s current portfolio, once built, is projected to earn taxpayers an average return of 8% per annum, with every investment on track to make a profit. Once built, GIB’s existing portfolio of investments will: reduce the UK’s annual CO2e emissions by 3.5m tonnes each year, equivalent to taking 1.6m cars off the road; produce 12.8 TWh of renewable energy, enough to power 3m homes; and avoid 1.3m tonnes of waste going to landfill, equivalent to the annual domestic waste produced by 1.3m homes. GIB has now co-invested with more than 70 domestic and international private investors and has delivered the mobilisation of approximately £3 of private capital for every £1 it invests. Since its inception in 2012, GIB has itself committed £1.3bn, with up to an additional £3.5bn successfully committed from private investors, resulting in a total of up to £4.8bn of UK green infrastructure projects. With only 18 months of activity so far, the majority of GIB’s investments (88% by value) remain in construction and, in line with standard accounting practice, a significant proportion of income is deferred to future years. As a consequence and in line with expectations, GIB recorded an operating loss of £5.7m in the current year (see table in notes). GIB is on track to reach sustained profitability once its current portfolio is built and operating. GIB also announces plans to launch a £1 billion fund to acquire equity stakes in operational offshore wind projects in the UK. GIB is seeking a suitable group of strategic, long-term co-investors to participate in this innovative capital raising exercise. The Fund will be managed by a GIB subsidiary which is currently regulated by the Financial Conduct Authority (FCA) and will be seeking permission from the FCA to become a regulated fund manager. This is an important development for the UK’s offshore wind sector. With 3.6GW of installed capacity, 1.4GW in construction and a number of further projects in the pipeline, the UK sector is set to grow significantly in the coming years. To support that growth, it is vital that developers – typically large utilities – are able to refinance part of their investments in operating assets to reinvest in new developments. This requires a significant broadening of the number of long-term investors in UK offshore wind projects. Equity investments in operational wind farms can offer a compelling opportunity for investors seeking long-term, inflation-linked returns. These attributes can be well matched to the needs of long-term infrastructure investors such as sovereign wealth funds and pension funds. In May 2014 GIB received State Aid approval from the European Commission to promote and manage funds and other co-investment structures for mobilising upfront private sector investment into its designated sectors. 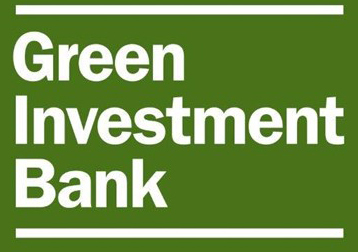 This widening of GIB’s activities is a significant strategic development as it will enable GIB to promote and manage funds and all other types of structured co-investments within any of its designated green sectors, allowing it to raise and deploy private sector capital in addition to its current £3.8bn of equity funding from the UK Government. GIB is targeting a first close on the Fund by the end of the calendar year. “Our role goes well beyond that of a traditional investor. We are providing a positive demonstration effect by successfully committing capital to profitable, green infrastructure investments. We are making a difference across the UK by taking on the tough projects, de-risking new technologies and lowering the cost of capital for our sectors. “We established the UK Green Investment Bank (GIB) to jump start investments in cleaner, greener technology. These results show the impact they are having with £4.8bn pumped into green energy projects in just 18 months. Headquartered in Edinburgh, the bank’s current investments have supported 3,500 jobs in the UK’s growing green economy and will cut CO2 emissions equivalent to taking over half the cars off London’s roads. Further details of GIB’s results will be set out in the organisation’s Annual Report, which will be presented at two annual review meetings in London (25 June) and Edinburgh (26 June), where Lord Smith of Kelvin and Shaun Kingsbury will explain the bank’s performance and future strategy to a wide range of stakeholders.